The Bruin Geological Survey (BGS) is a UCLA Student Organization dedicated to running fun and informative fieldtrips, on which members can see great geology first-hand, as well as education and outreach events, at which members can share their knowledge of our Earth with others. We hope you'll join us for some good fun, time outdoors and, of course, great geology on one of our upcoming trips! Amanda studies Precambrian paleobiology with Bill Schopf. She’s currently ruminating on how to constrain Earth ambient temperature changes over deep time. Her goal in life is to be an old timey naturalist. Greg, a recent Junior transfer from Berkeley/Oakland, CA, is a Geology major. He works in UCLA's Meteorite Laboratory with John Wasson and studies luminescence with Ed Rhodes. Outside of learning about geology, he loves singing, dancing, and hiking. 3rd Year Geology M.Geol. Student. Tom is an exchange student from the University of Leeds, UK. He has focused his studies towards working in the mineral exploration sector, and acted as treasurer to the Leeds student chapter of the Society of Economic Geologists in 2013/14. Drew is studying the Earth's dynamo and magnetosphere. In his free time, he enjoys exploring the Sierra Nevada and geologizing! Axel is an enthusiast for both geology and alpine climbing. The highest mountain Axel climbed is Yuzhu Peak (6178 M) located in Qinghai Province, China. Jessica is a curious explorer who loves hiking canyons and venturing in the wilderness. She also enjoys reading, playing cello, and collecting minerals. 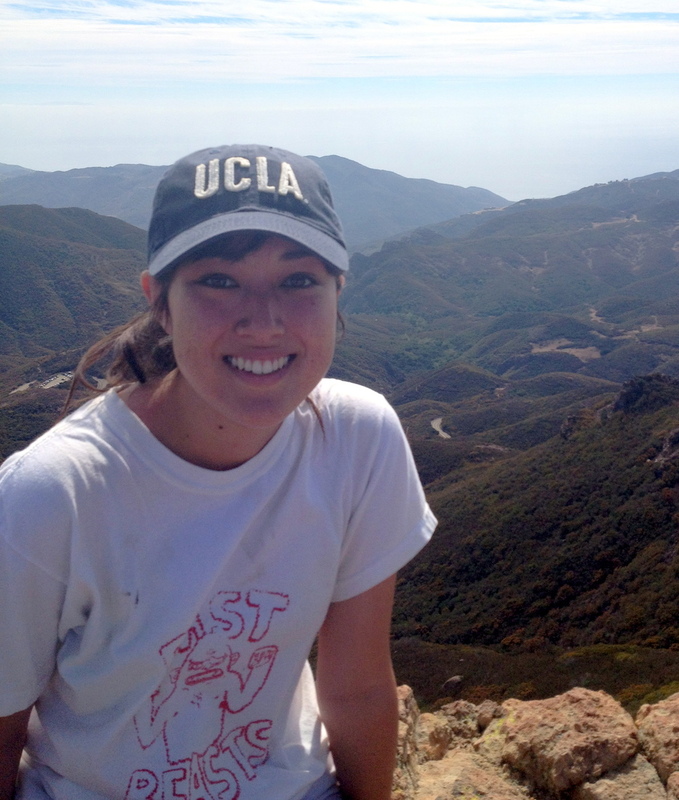 Eui-jo has a BA in English and communications, and is completing post-baccalaureate studies at UCLA to prepare for a master's degree in geology. She loves to escape the city whenever possible, and enjoys the mountains, the beach and the desert (southern California is a great place, no?). She is currently working with Sinan Akciz on paleoseismology, and is excited to soon be working professionally. Juliet studies luminescence with Ed Rhodes.